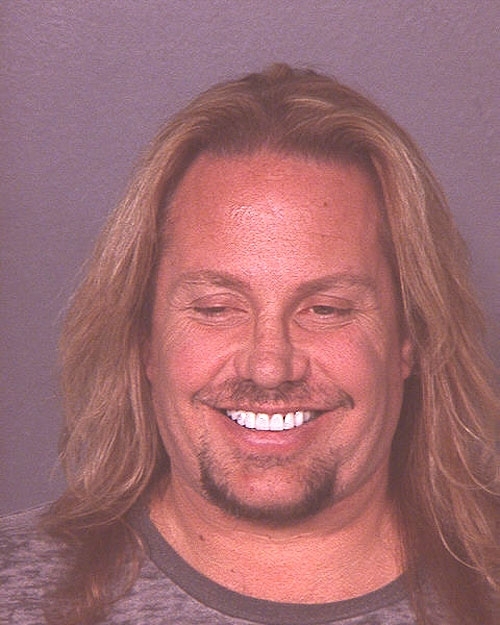 Motley Crue's lead singer Vince Neil was busted for drunk driving in Las Vegas in January 2007. Neil, then 45, was booked into the Clark County jail where he posed for this mug shot. Submitted by rcmayo on Thu, 2011-06-02 20:43. Yep i've had my teeth whitened why do you ask? Is it because i am a thoughtless careless reckless dumbshiat rockstar? Submitted by Darveesh on Mon, 2011-03-14 20:46.